This park is south of Dayton, just off of Interstate 75 in Springboro, OH! North Park offers walking/running trails, large grassy fields, tennis and basketball courts, and a covered shelter/amphitheater so we can S.L.A.M. each day. The park is clean, safe, and fun for the whole family. There is even a playground for the kiddo(s)! Please bring a mat, dumbbells, water, and snack/ toys for the kiddos. The parking lot is located right as you enter the park and provides easy access to the start of our workout each day. We will meet outside the air-conditioned bathrooms right off the parking lot. Questions? Contact Alexis at alexis.ward@strollerstrongmoms.com. The Church has a great meeting room with bathrooms available. Please bring a mat, dumbbells, water, and snack/ toys for the kiddos. GAC Fitness is a clean fitness facility that contains a multi-use studio, turf field, TRX station and much more. There are also showers available for use! Note you do not need to bring in your own equipment at this location. Alexis Ward is an ACE certified group fitness instructor and is CPR/First Aid certified. 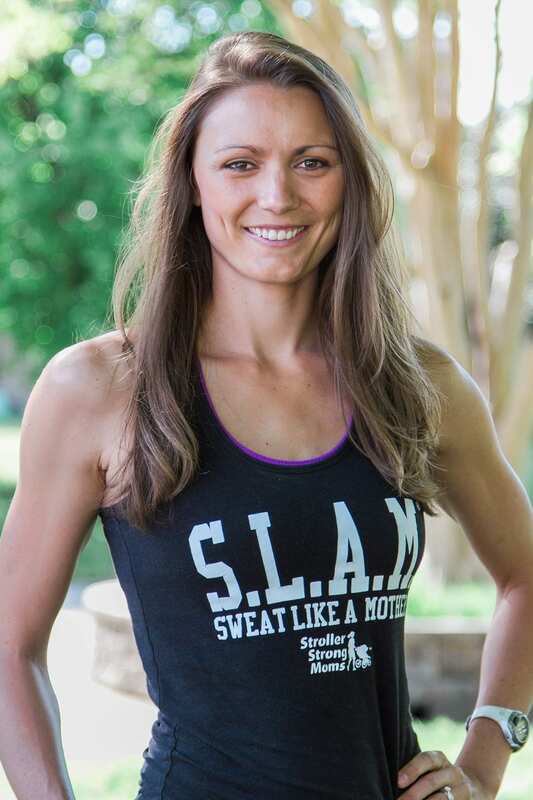 Since 2010, she has been a K-12 Physical Education and Health Teacher with a degree from Grandview University in Iowa. Alexis currently lives in Springboro, OH, with her husband Jeremy and her baby boy Aiden. She began her active lifestyle through playing soccer as a child, continued to play competitively and still does today – with Aiden in tow! Alexis’ favorite ways to SLAM are through activities involving speed, agility, and quick footwork, and of course through a bit of competition! Keep Up With SLAM'n Dayton! Join SLAM Dayton on Instagram! Contact the SLAM Dayton Team! Stroller Strong Moms has definitely helped me maintain my health during my second pregnancy. I’ve had a lot more energy and I’ve slept better.